Aric Almirola and the No. 10 Smithfield Ford Fusion team continue their journey on the “NASCAR Goes West” swing of the 2018 Monster Energy NASCAR Cup Series schedule. This weekend marks the second of three consecutive events along the western part of the United States. Almirola heads to ISM Raceway near Phoenix coming off a 10th-place finish Sunday at Las Vegas Motor Speedway. The Tampa, Florida native arrives in the “Valley of the Sun” with three top-13 finishes in his three starts for Stewart-Haas Racing (SHR). The Smithfield driver is off to the best start in his Cup Series career with an average finishing position of 11.3 behind the wheel of the No. 10 Smithfield Ford Fusion through the first three races. The No. 10 team started deep in the field Sunday at Las Vegas but worked diligently to gain track position throughout the race, earning Almirola his first top-10 of the season. The success at Las Vegas was spread throughout the SHR camp as teammate Kevin Harvick found his way to victory lane for the second consecutive weekend. The win marked SHR’s 45th overall win in its 10 year history. Phoenix marks the first mile oval of the season for NASCAR’s premiere series, and Almirola and his No. 10 team look to keep their momentum going by adding another solid finish at Phoenix this weekend. He’s 12th in the driver standings, the highest he’s been entering the fourth race of the season since 2013 when he was 10th. All four SHR entries rank in the top-13, with Harvick leading the way in first place overall. In his last nine starts at mile ovals, the 33-year-old Almirola has one top-five finish and three top-10s. The Ford driver will make his 15th Cup Series start at Phoenix with the team led by first-year crew chief Johnny Klausmeier. Almirola has completed 99.9 percent of all possible laps at Phoenix and has an average finish of 17.0. 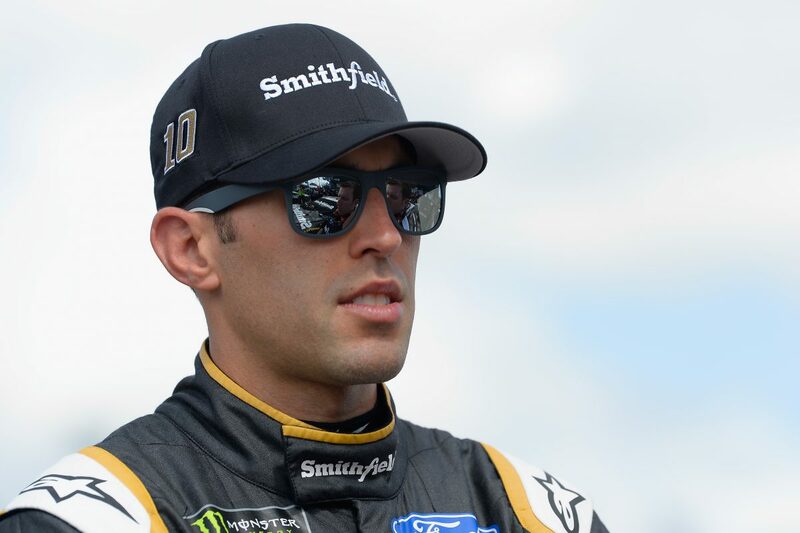 Smithfield, a brand of Smithfield Foods, which is based approximately five hours northeast of SHR headquarters in Smithfield, Virginia, enters its seventh season with Almirola and first with SHR. Phoenix marks the fourth consecutive weekend the Smithfield livery has adorned Almirola’s No. 10 Ford Fusion. Founded in 1936, Smithfield is a leading provider of high-quality pork products, with a vast product portfolio including smoked meats, hams, bacon, sausage, ribs, and a wide variety of fresh pork cuts. Almirola has seven Xfinity Series starts at Phoenix and captured the pole award at the desert track in that series in November 2011. Additionally, he’s led 74 laps and has two top-10 finishes in the series. Earlier in his career, Almirola made three starts in the Camping World Truck Series at the “Diamond in the Desert.” Two of those three starts resulted in top-five finishes, and he led a total of 52 laps. To this point in the season, Almirola has completed a combined total of 797 laps around the first three venues on the Cup Series schedule at a completion percentage of 99.7 percent. Coming off three top-13 finishes – 11th at Daytona (Fla.) International Speedway, 13th at Atlanta and 10th at Las Vegas – Almirola turns his focus toward Phoenix, where he looks to build on the momentum this season. Ford has garnered a total of 15 wins at Phoenix and has visited victory lane for two of three races this season, giving the manufacturer the top spot in the manufacturer standings by 11 points. This weekend marks Almirola’s 248th start behind the wheel of a Cup Series car, inching ever-so-close to his 250 race-start milestone at Martinsville (Va.) Speedway scheduled for the final weekend in March. What is it like to race at Phoenix? “Phoenix is a very unique short track because it’s very fast. Ever since the repave, it has been one of the short tracks that honestly races like a mile-and-a-half more than it does a short track. It’s a fun racetrack to race at, but it’s definitely different from a Richmond-, Martinsville- or Bristol-type of short track. What’s the most important thing to be successful at Phoenix? What are your thoughts on this being the last race with the start-finish line on the straightaway? Do you have a favorite short track?